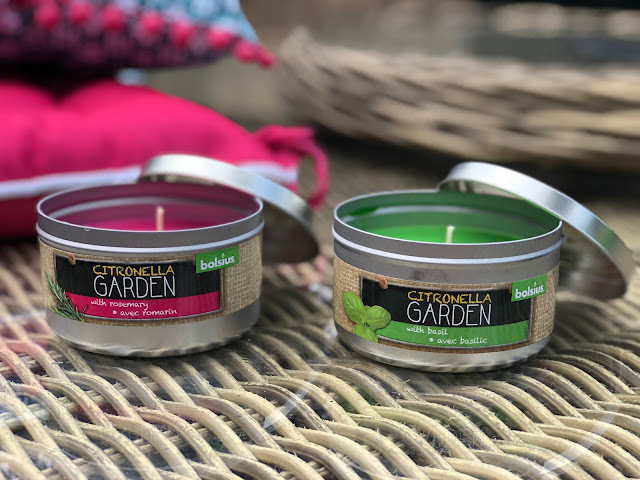 Bolsius were kind enough to send over some of their new range of garden candles. Bolsius is a brand of candles that I have tried and loved before, I have never been disappointed in any of their products. I love sitting in the garden on a summers evening with candles lite, my mum always has little lanterns and candles everywhere so it reminds me of being little. This bank holiday weekend we had family around to celebrate my parents anniversary so it was the perfect excuse to crack open the candles. Within the range their are tin candles, glass candles and tealights. First up is the basil and citronella glass candle, I love the packaging of the glass range its simple yet with it being clear it allows the bright colours of the candles to pop through. The basil is such a lovely fresh and clean scent for the summer without being over powering. Its also a great scent for keeping away mosquitos away in the summer which is perfect. The basil tin candle is equally as lovely, I love the little tins that they come in too. Lastly is the citronella and rosemary glass candle, I love the colour of the candle its so bright and summery. This has more of spicy twist on a summer candle but i surprisingly really like it, its not too over powering as its lite in the garden. 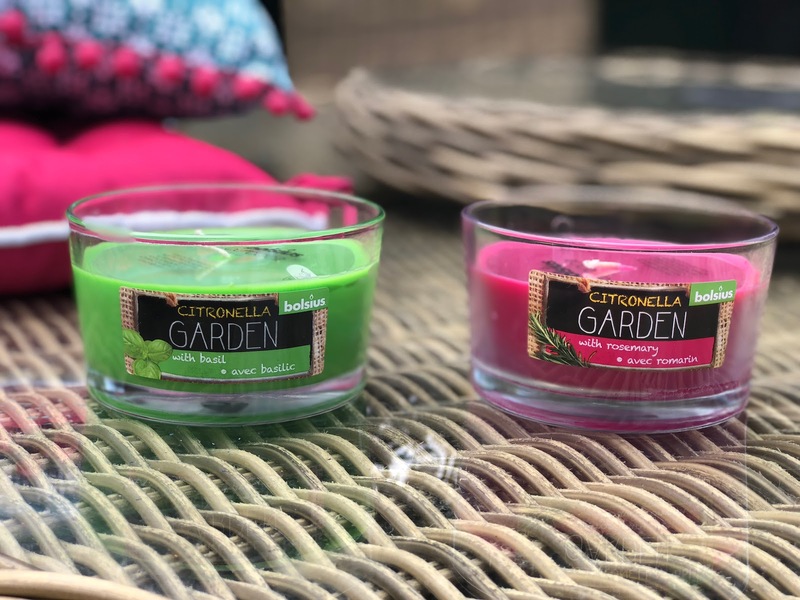 These are the perfect candles for the garden I'd definitely recommend trying them out!